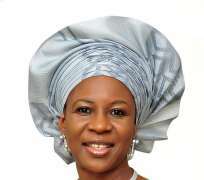 “As a teacher in the classroom, I do understand that the upbringing of a child is not the sole responsibility of the parents or the teacher or even the child, it is a communal thing”, the wife of the Delta State governor, Dame Edith Okowa has said. She stressed that if the child is not properly brought up in the home, “it means something is missing”, saying that when such a child gets to school, “and the teachers are not there to correct what has gone wrong at home, a wider thing gets missing”. The wife of the governor gave the charge Thursday at the Delta State Award of Excellence For Pupils and Students held at the Unity Hall, Government House, Asaba. She said government alone cannot do it, hence stakeholders should be involved in the over educational development of the child, “if our educational system must be revived”. She said when such student(s) is not also willing to help his or herself, things would get worse, lamenting that parents have left the responsibility of the upbringing of the child to the teachers, “and it is a very big error”, noting that the management of a child that was not properly brought up at home would deepen the situation. Dame Okowa pointed out that parents either biological or foster would give account of the children in their care, “you must answer to God concerning that child. A child that is brought very well might stray but he will not stray far”, she asserted. She commended the Managing Director/Chief Executive Officer, Eroton Exploration and Production Company Limited for the initiative, parents and the teachers for the efforts put in the development of the child. In his speech, the Commissioner for Secondary and Basic Education, Mr Chiedu Ebie, said “the ceremony is aimed at promoting positive learning behavior amongst learners as well as motivating them to be more productive and to strive for excellence in their academic pursuit”. He revealed that in order for pupils and students to achieve their dreams in line with the Universal Basic Education mantra, “education for all is the responsibility of all”, the state governor, Ifeanyi Okowa in 2016 approved the Support-A-School Programme (SASP). Ebie hinted that the programme (SASP) which is aimed at providing platform to galvanize public spirited individuals, friends of the state, corporate organizations as well as community based organizations and social groups have recorded landmark partnerships. According to him, the three best candidates who distinguished themselves in the Cognitive/placement examination for primary six pupils, Basic education certificate examination (BECE) West African Senior School Certificate Examination (WASSCE), Senior School Certificate Examination (SSCE) in the National Examination Council (NECO), National Technical Certificate (NTC) and National Business Certificate (NBC) Examinations organized by the National Business and Technical Examinations Board (NABTEB) would go home with prizes. Also speaking, the MD/CEO, Eroton Exploration and Production Limited, Mr Ebiaho Emafo, hinted that the company has ensured that its Corporate Social Responsibility (CSR), initiatives have meaningful and lasting impact on beneficiaries and the society at large. According to him, “education is a foundation that we lay our blocks on that enable us to attain and achieve remarks in good fate. To ensure that our students are encouraged and rewarded for their faith of academics excellence is something that will have a life-long impact on them and the society at large”. His words: “the beneficiaries of today’s awards should be proud of their achievements and use this gesture as a clarion call to strive harder in the pursuit of academic excellence”. High point of the event was the presentation of awards of excellence, laptops and cash gifts to Brodrick Michael, Joseph Favour and Sunday Destiny who took 1st, 2nd and 3rd positions in the Cognitive/placement examination for primary six pupils. Also, Enameguono Aroesiri, Odafe Prosper and Nwaorie came out with 1st, 2nd and 3rd position in the Basic education certificate examination while Agwolofa Godswill, Aladja Jerry Efemena and Anthony Erhoasere Faith emerged 1st, 2nd and 3rd positions in the National Technical Certificate (NTC) and National Business Certificate (NBC) Examinations. In same vein, Raphael Nwajiaku, Afinotan Favour Mofetan and Etagene Oghenetejiri scored 1st, 2ndand 3rd positions in the National Examination Council, Afinotan Favour Mofetan, Kenneth Wisdom and Akele Ohiorenuan came 1st, 2nd and 3rd positions in the West African Senior School Certificate Examination. In addition, special award were given to Whisky Orevaoghene, who took the 1st position in the 2017 National Mathematics Competition organized by the Mathematical Association of Nigeria, Isioma Ifeanyichukwu, won the 16th edition of the Nigerian National Petroleum Corporation National Quiz Competition and Oba Azubuike, a visually impaired student who attained eight credits at the 2017 WAEC.